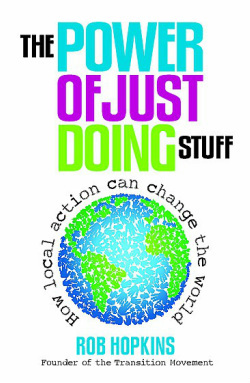 'The Power of Just Doing Stuff' - launched in Crystal Palace! We had a remarkable day when Rob Hopkins, the founder of the Transition Movement, came to Crystal Palace to launch his book. Read all about it here, including video and audio footage. “There’s a buzz around this book, and its message, that gives great grounds for optimism on topics that are often rather doom-laden. Its true power lies in the fact that it’s many smart ideas are already underway”. “The idea that local food can be better for communities, for local economies, for our wellbeing and for the planet is now widely accepted. The Power of Just Doing Stuff captures the potential of applying that thinking beyond food, to how we think about energy generation, development, investment, job creation and to the shift to an economy appropriate to the 21st century."